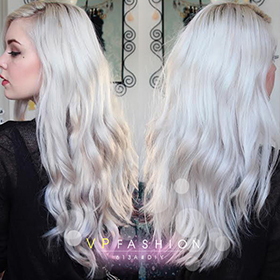 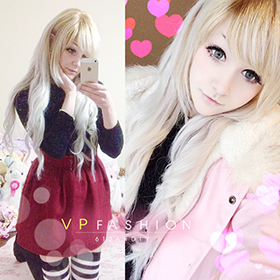 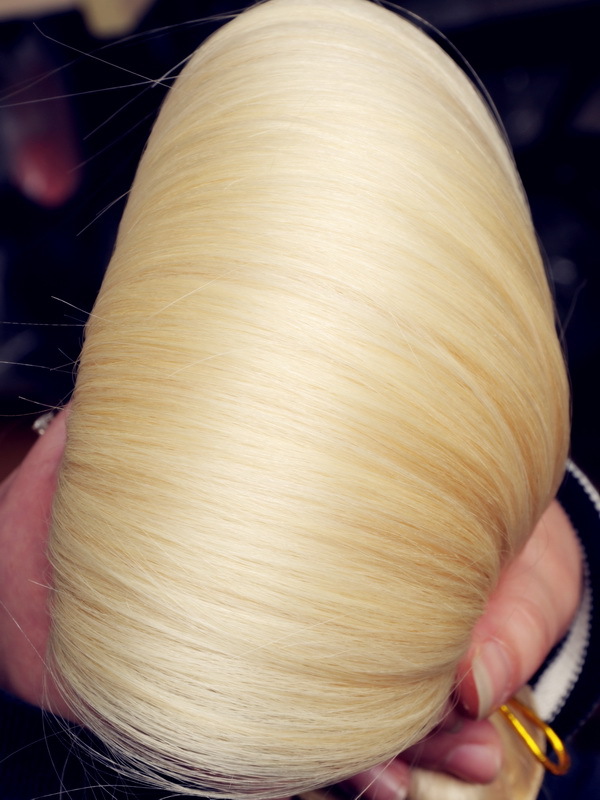 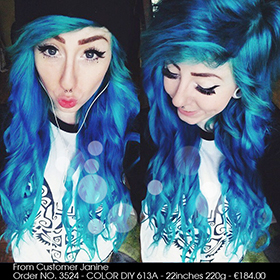 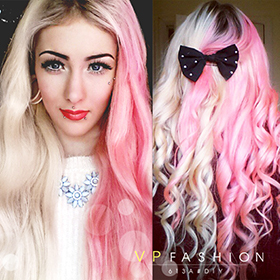 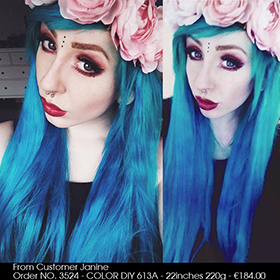 The white blonde (613A#) hair extension is the lightest shade that our factory can offer on such a large scale. 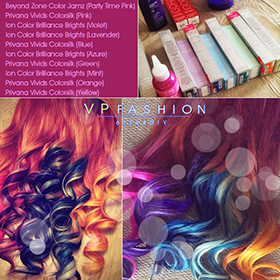 It is available for almost all kinds of color DIY with proper process. 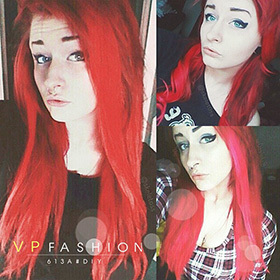 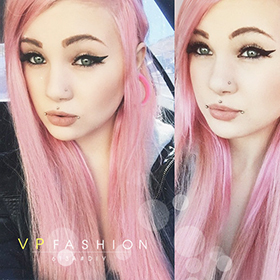 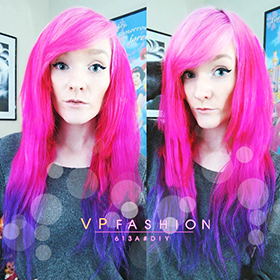 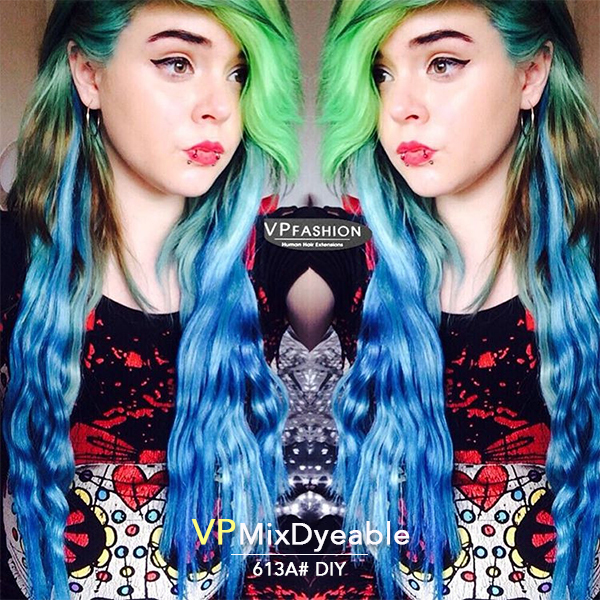 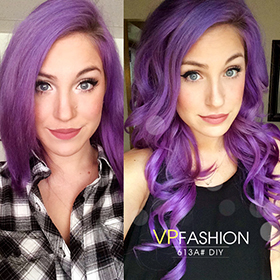 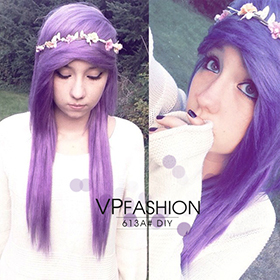 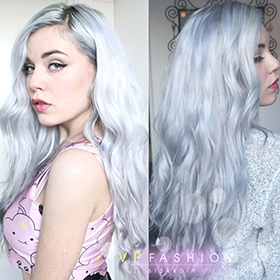 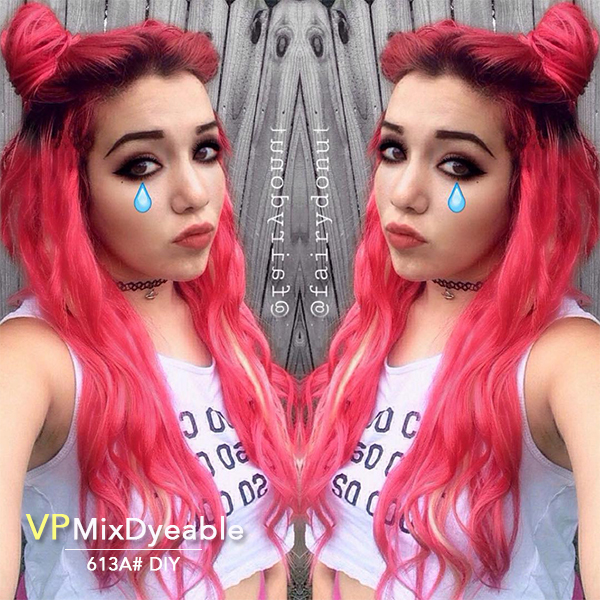 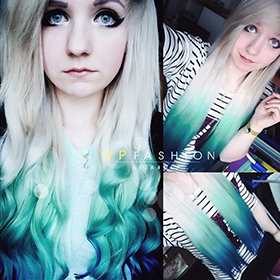 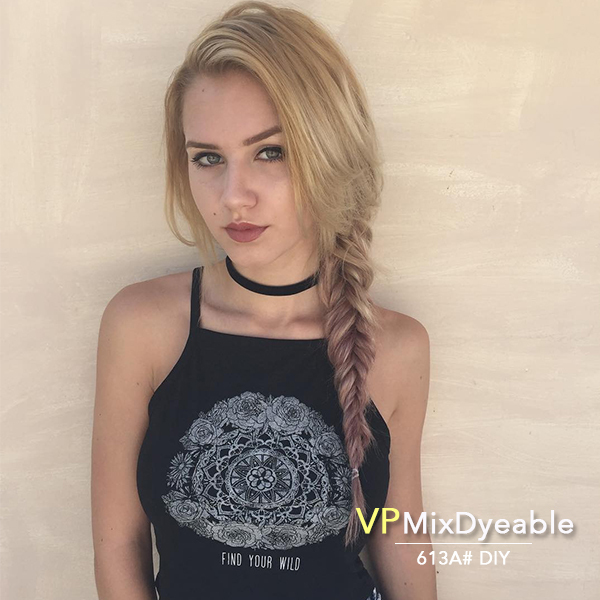 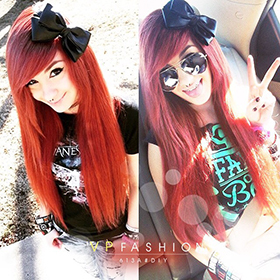 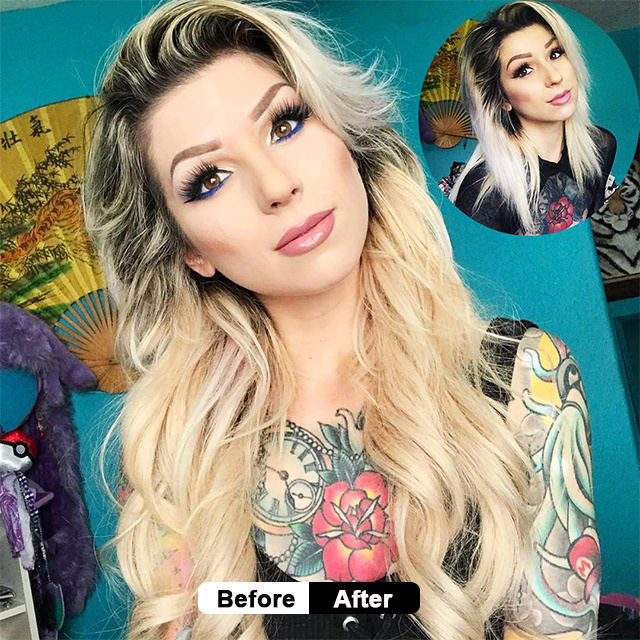 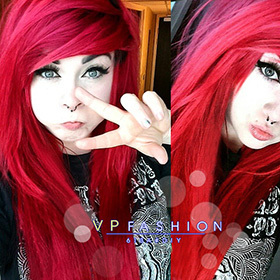 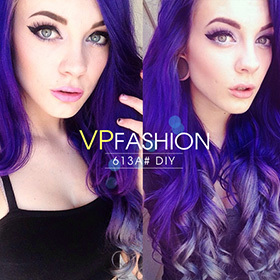 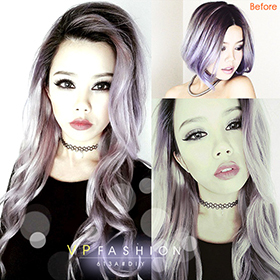 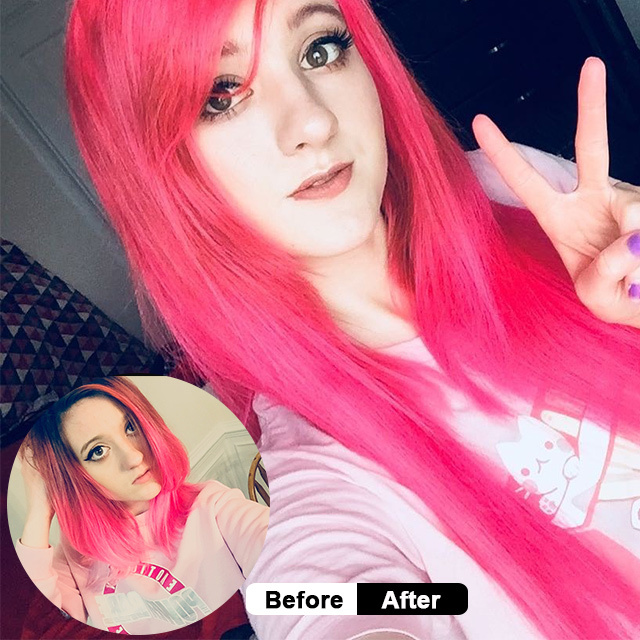 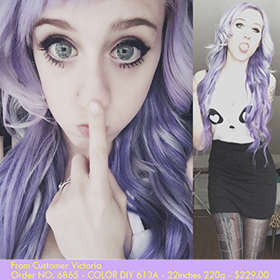 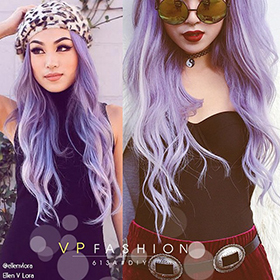 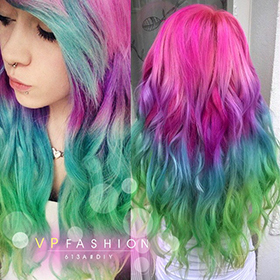 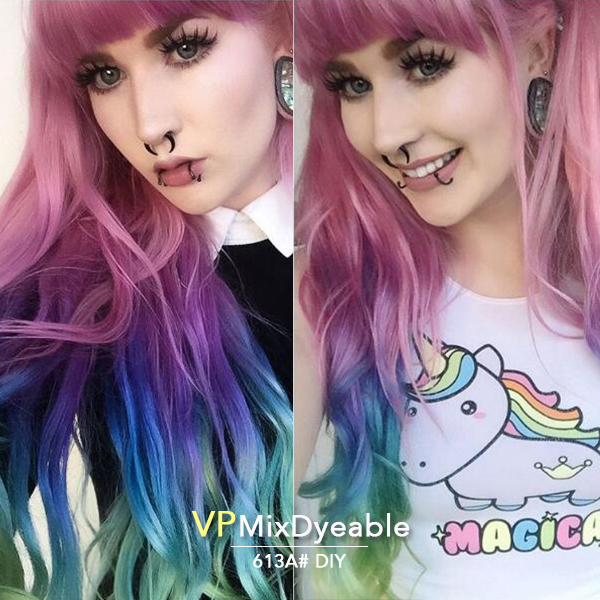 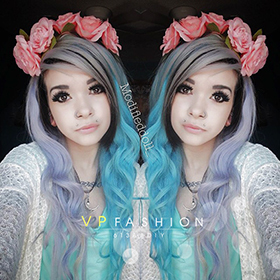 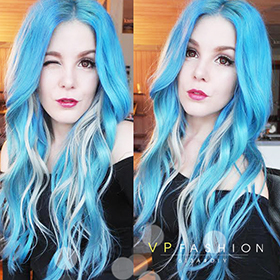 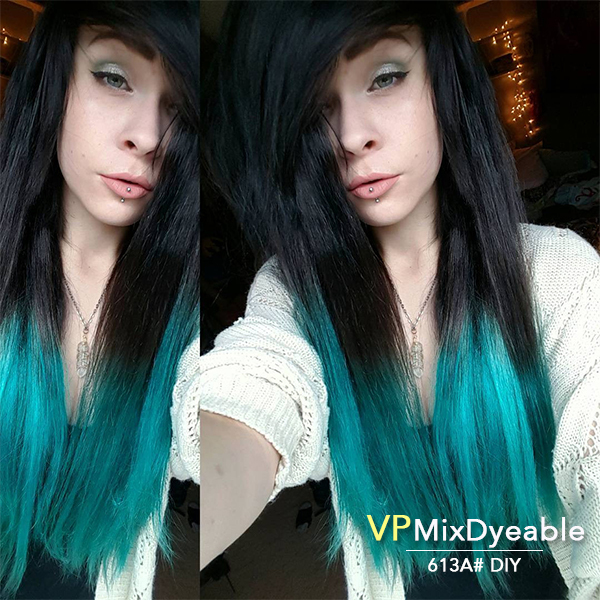 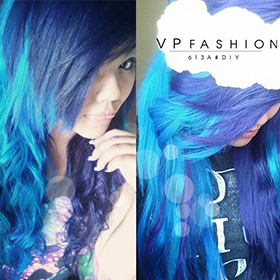 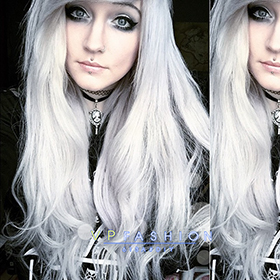 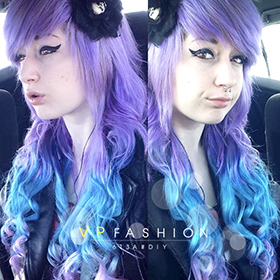 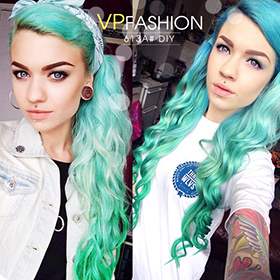 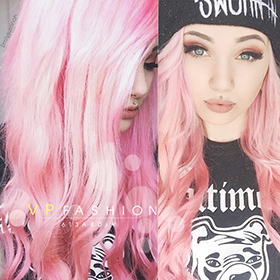 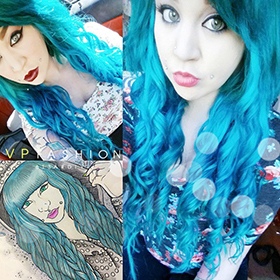 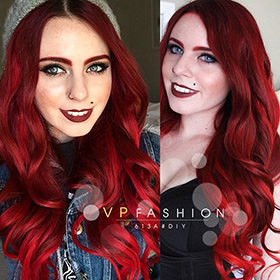 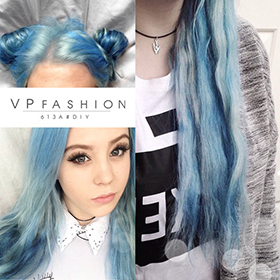 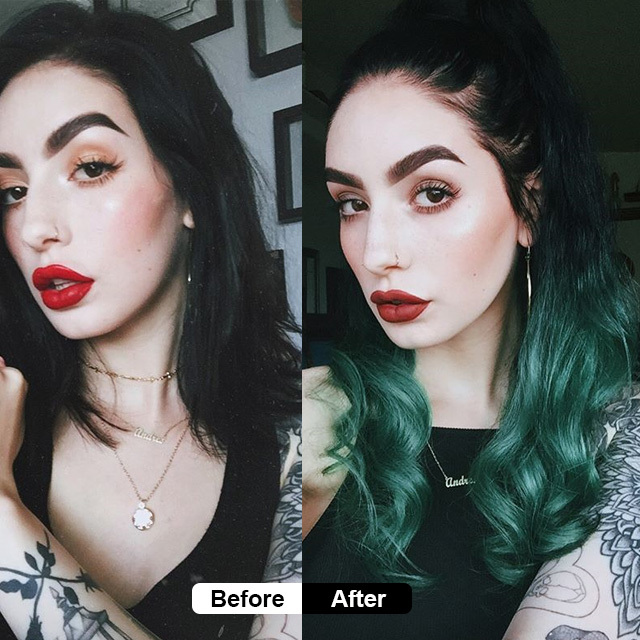 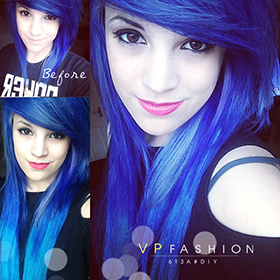 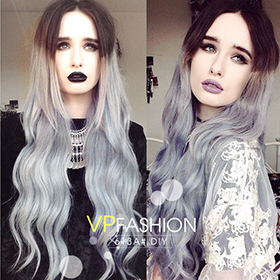 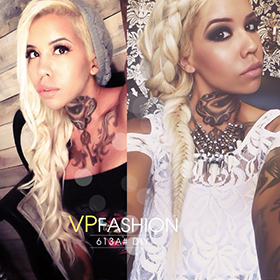 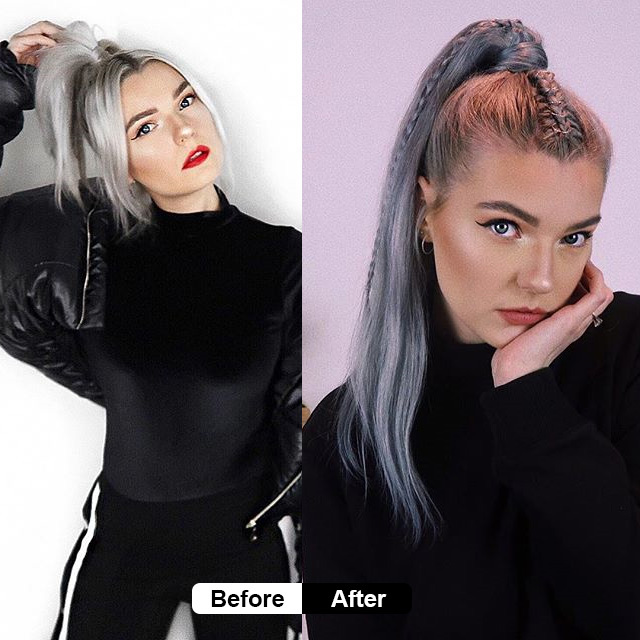 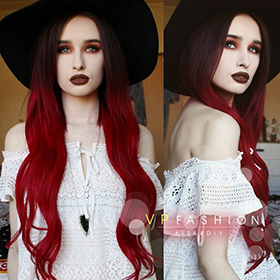 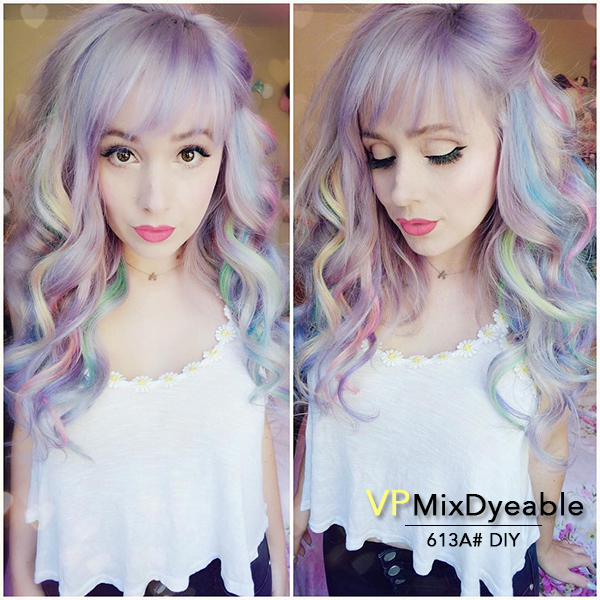 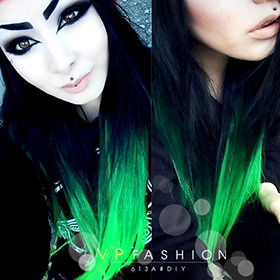 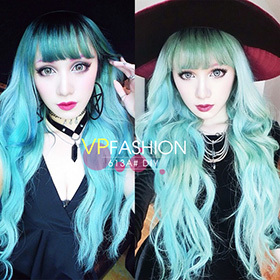 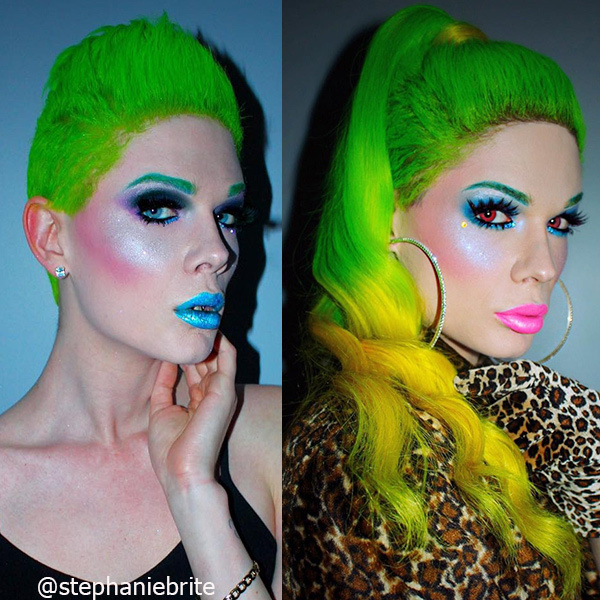 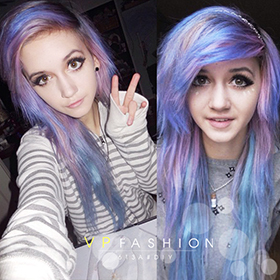 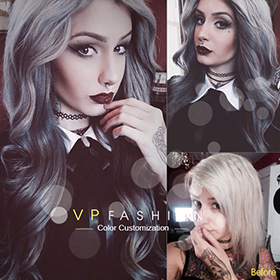 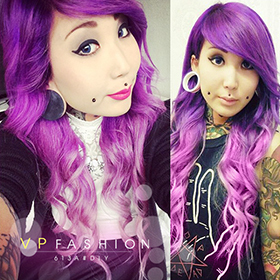 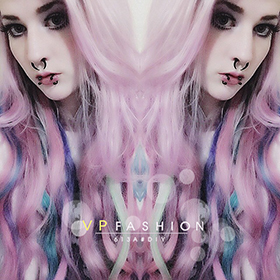 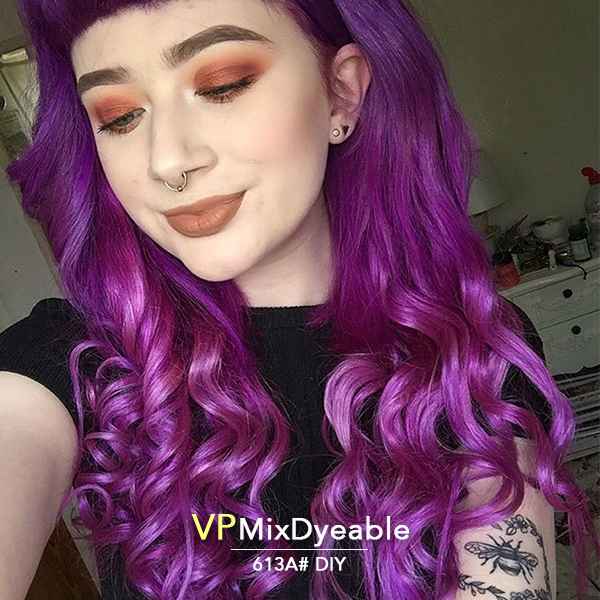 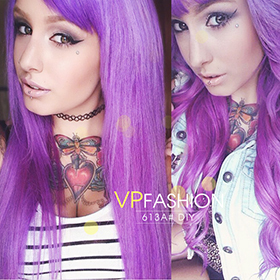 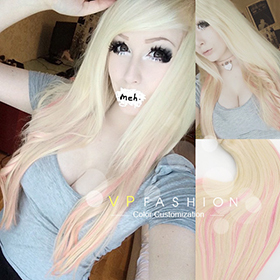 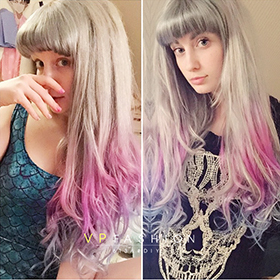 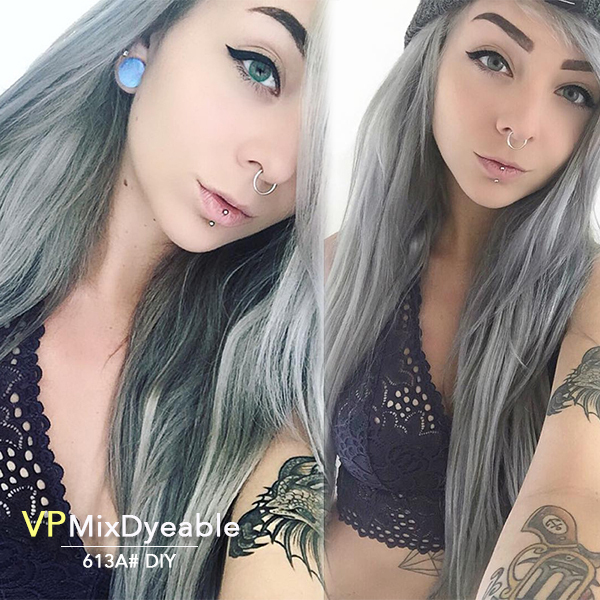 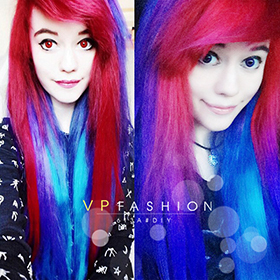 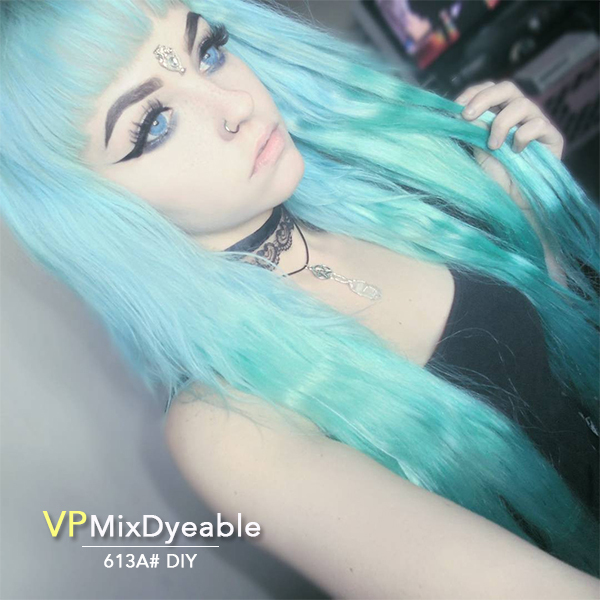 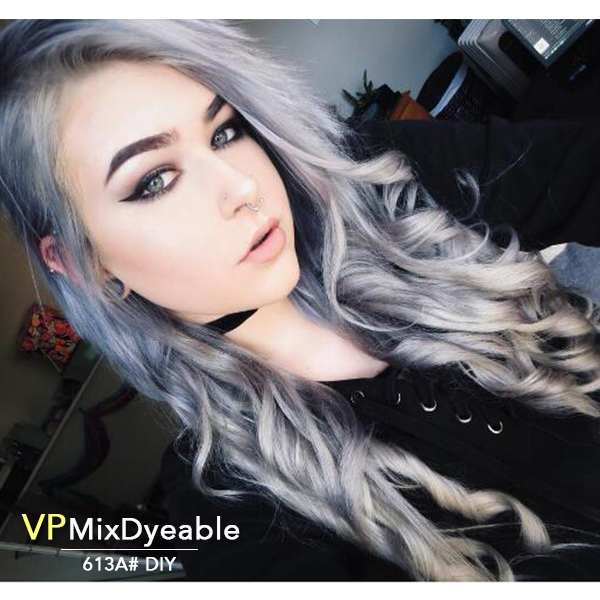 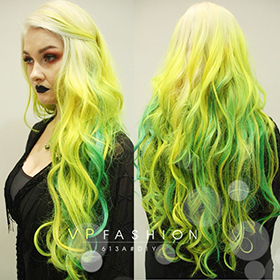 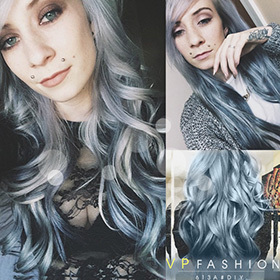 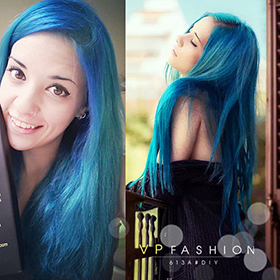 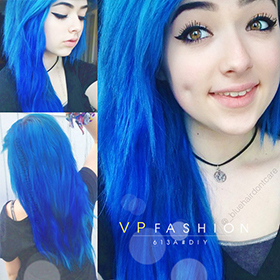 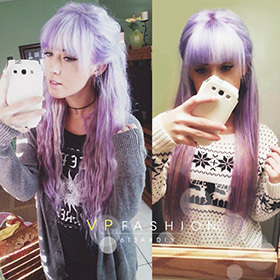 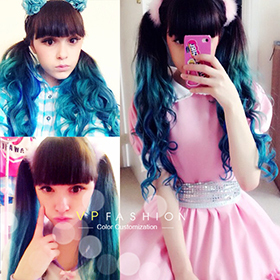 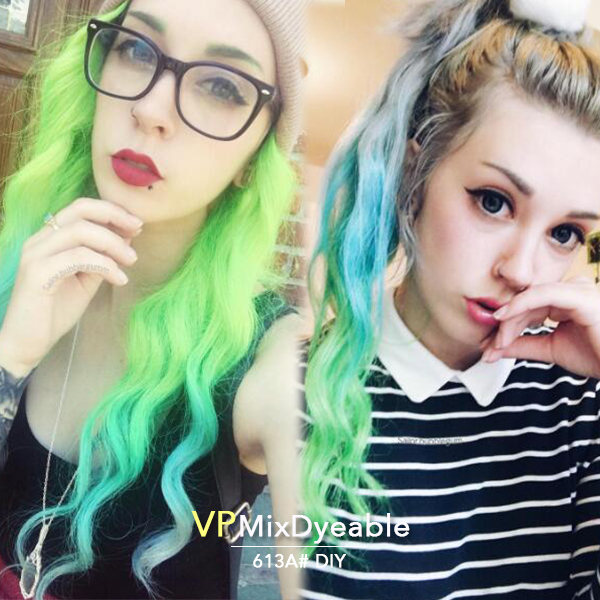 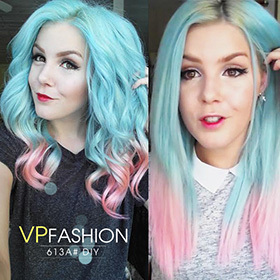 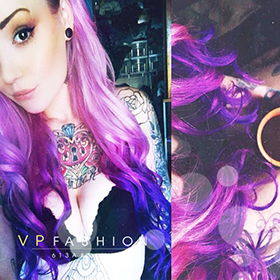 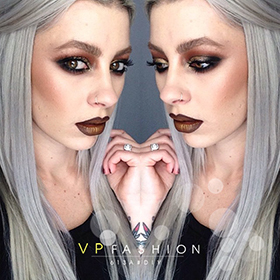 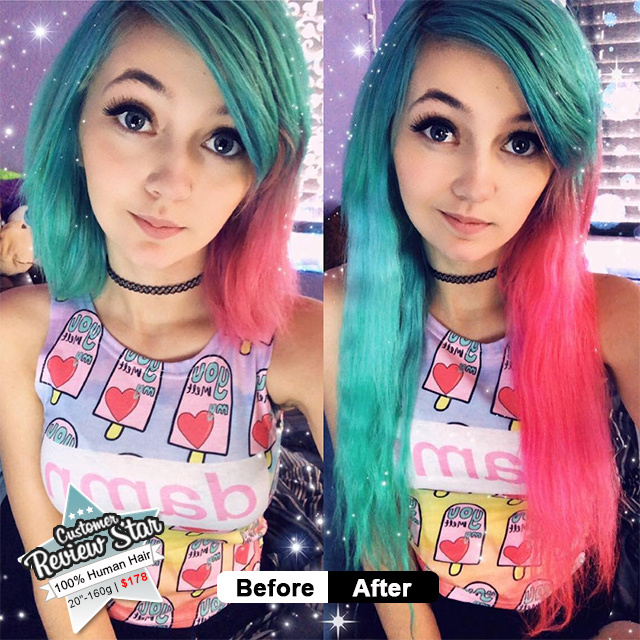 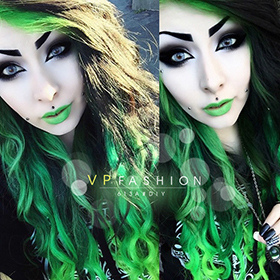 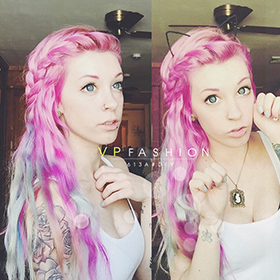 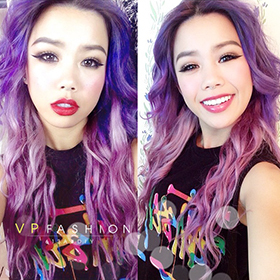 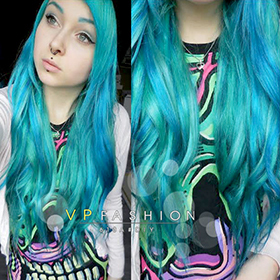 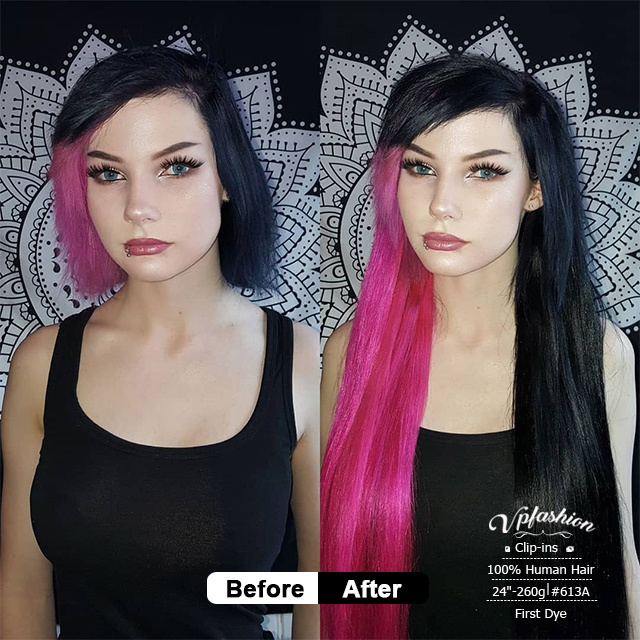 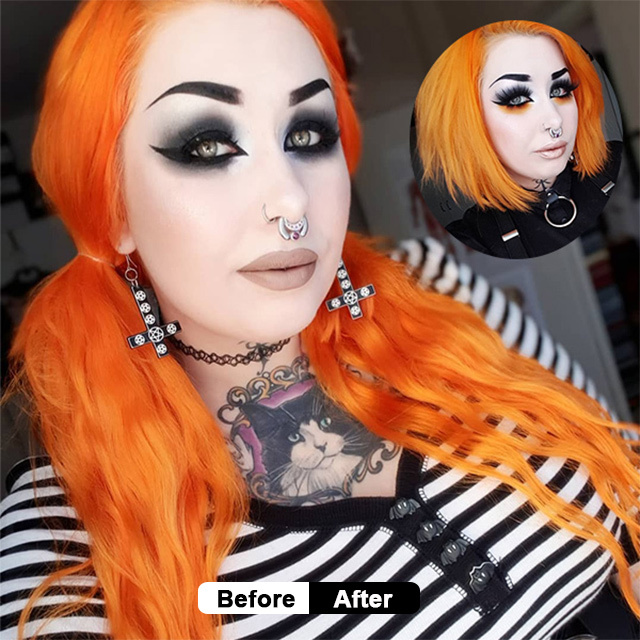 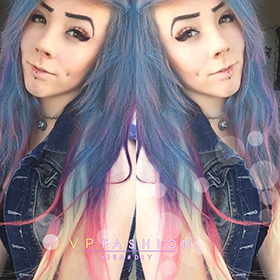 Chemical bleaching is not suggested and Vpfashionassumes no responsibility for the damage caused by improper actions of customers. 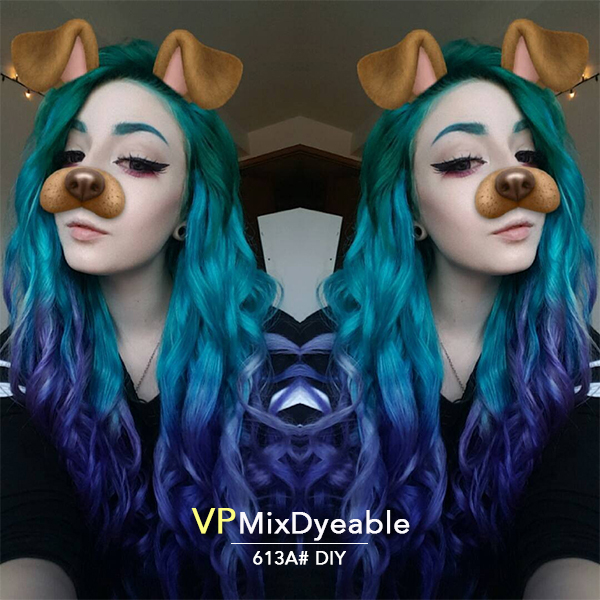 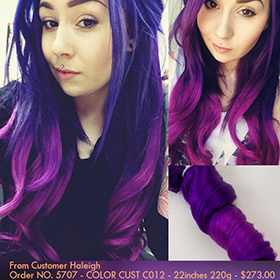 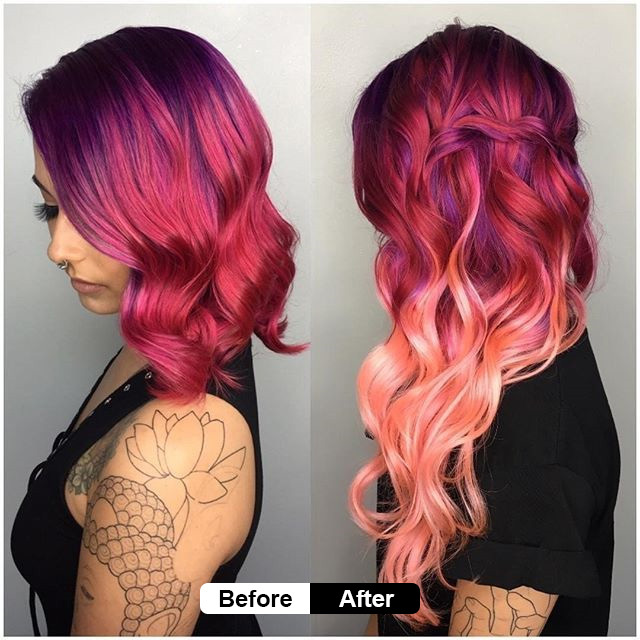 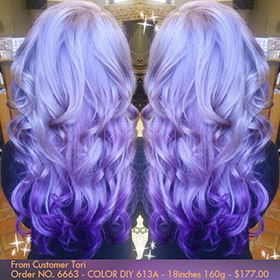 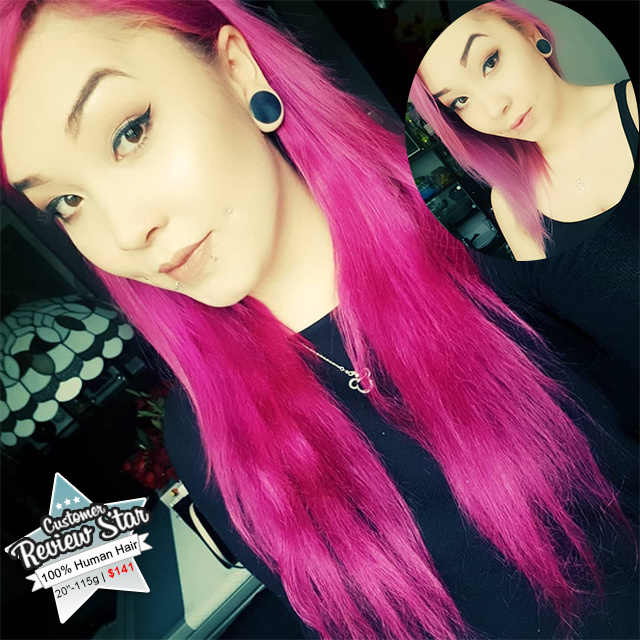 Purple shampoo and similar products, which are available from your previous dyes, do not always work on other extensions. 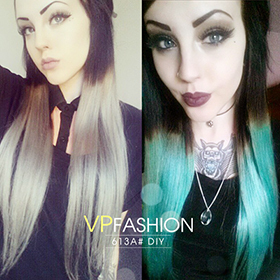 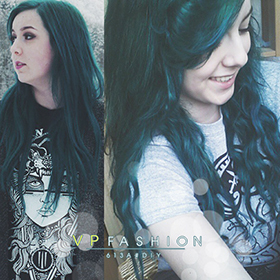 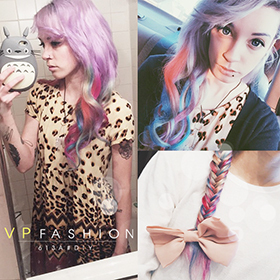 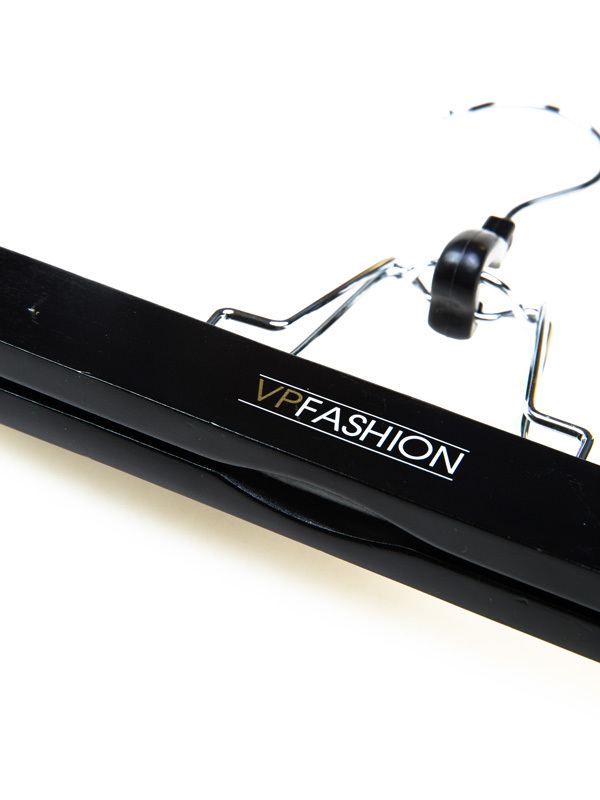 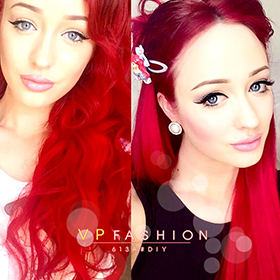 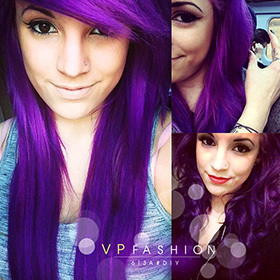 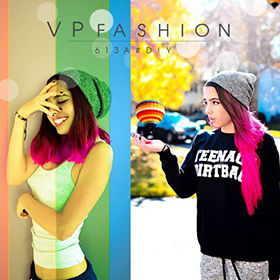 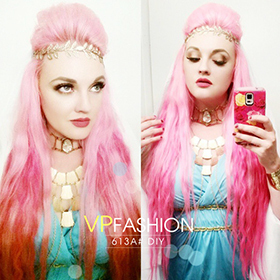 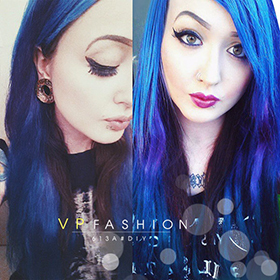 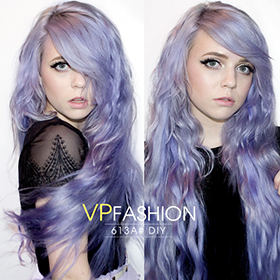 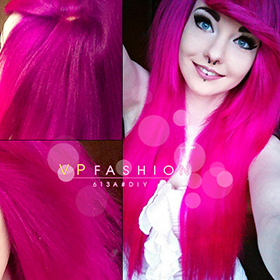 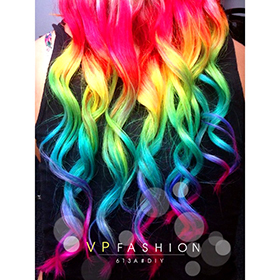 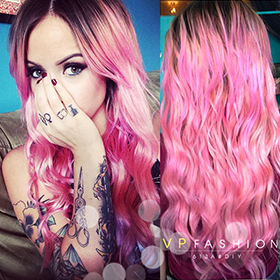 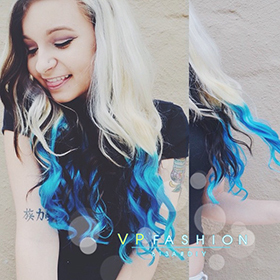 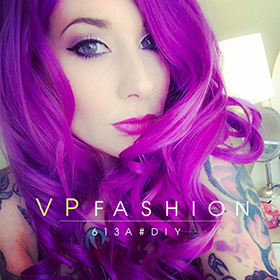 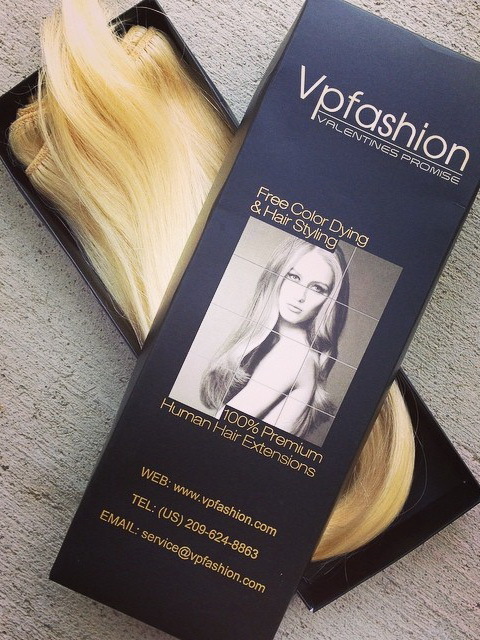 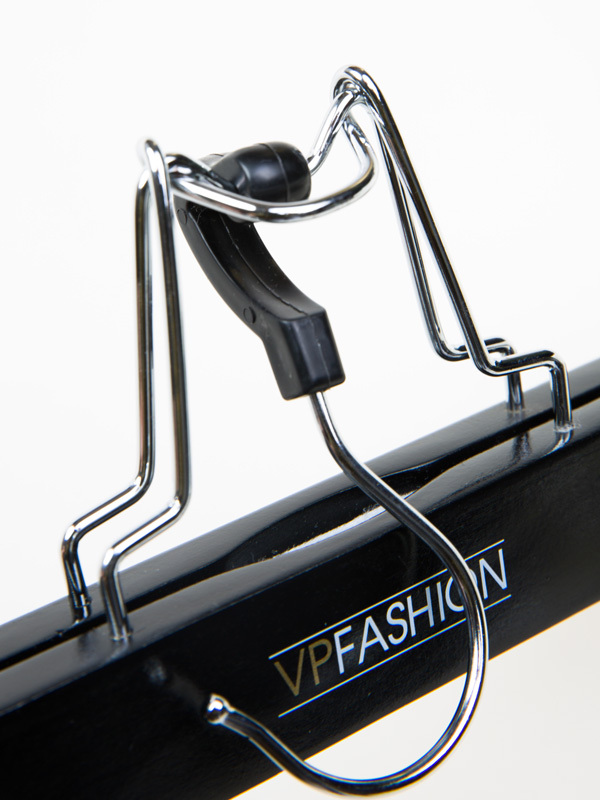 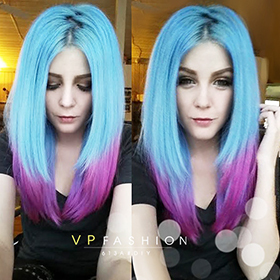 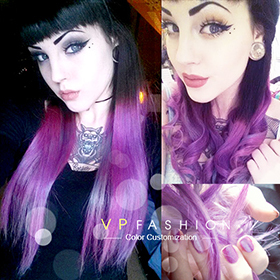 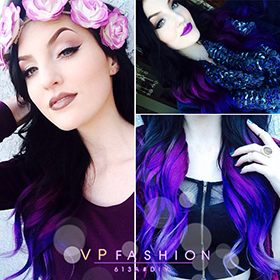 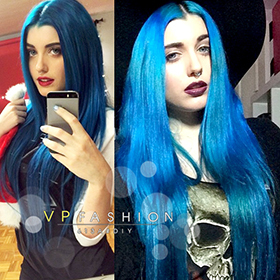 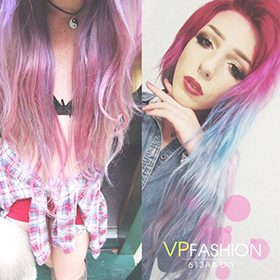 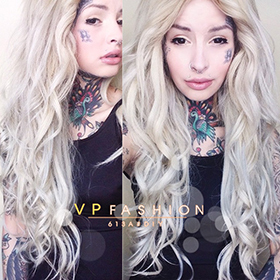 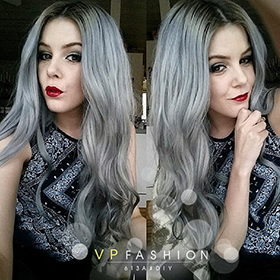 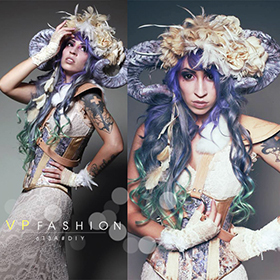 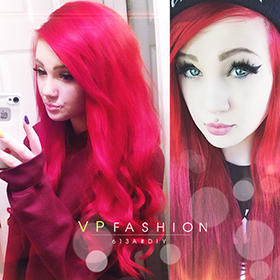 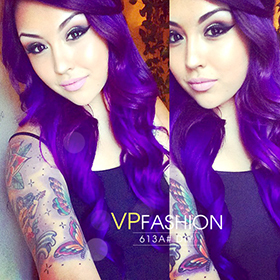 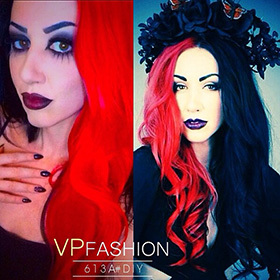 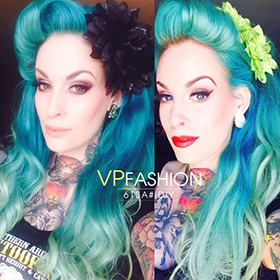 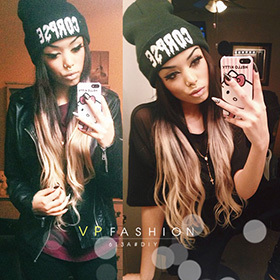 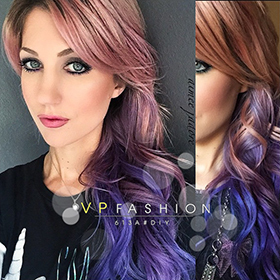 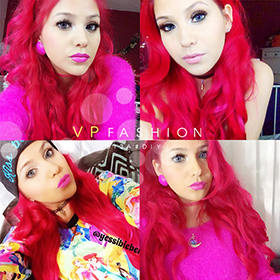 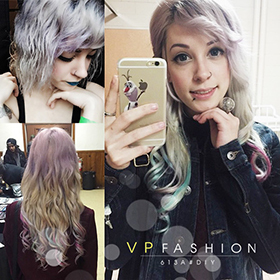 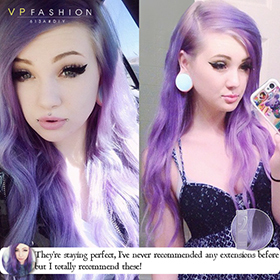 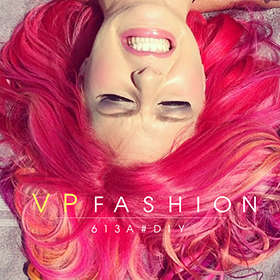 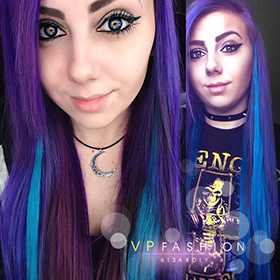 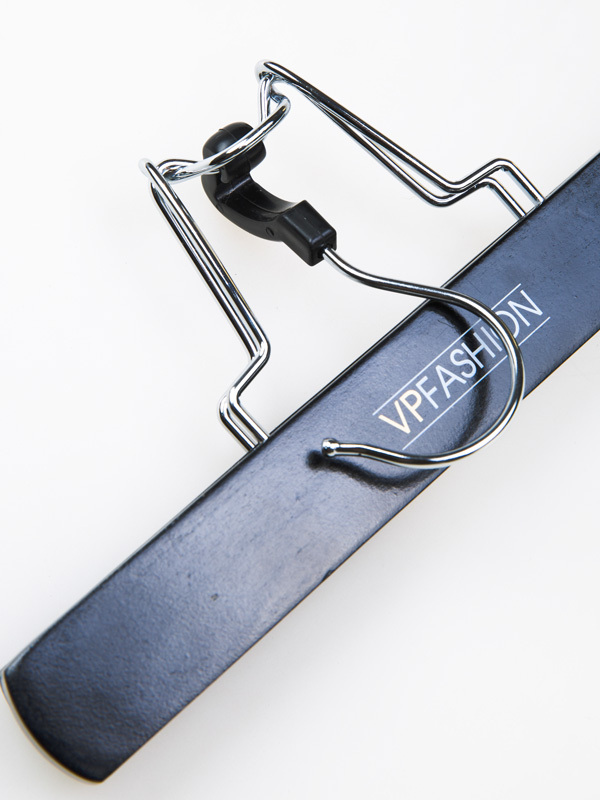 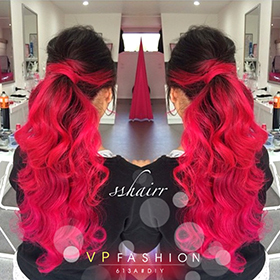 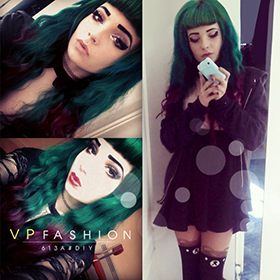 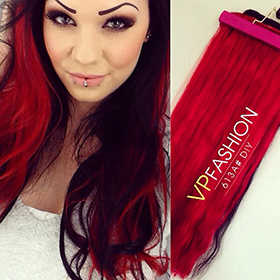 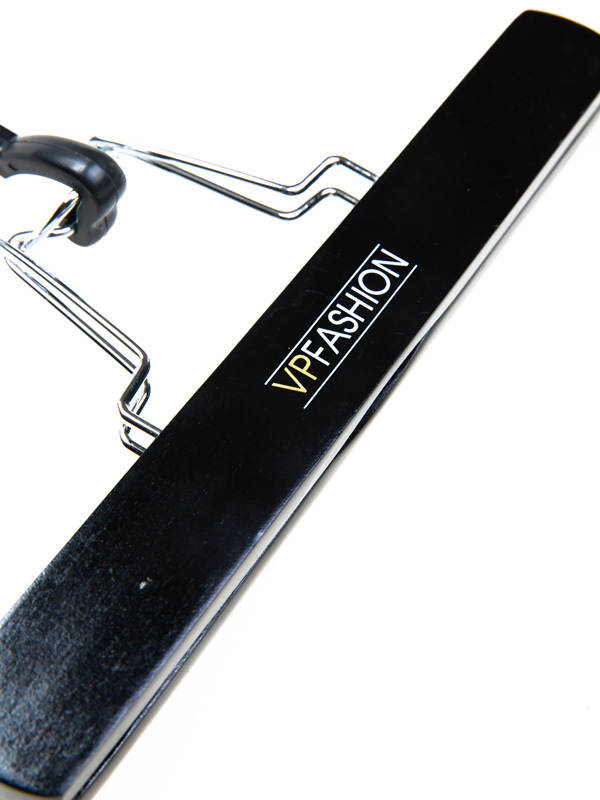 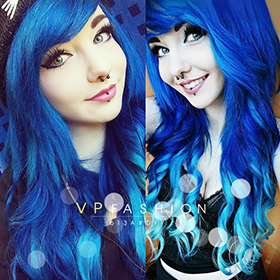 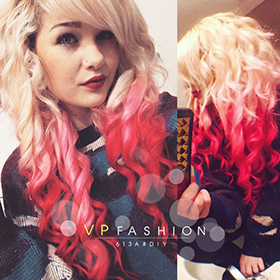 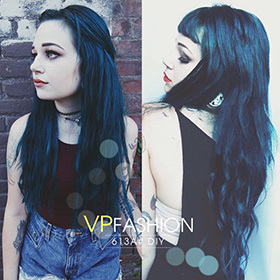 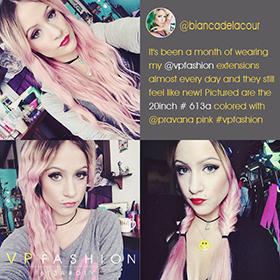 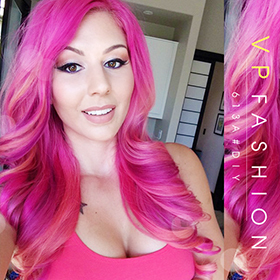 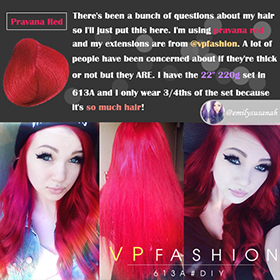 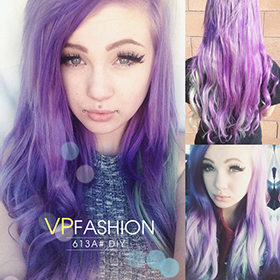 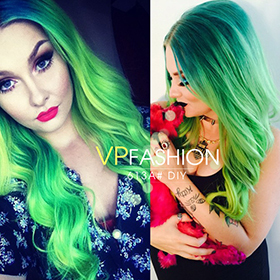 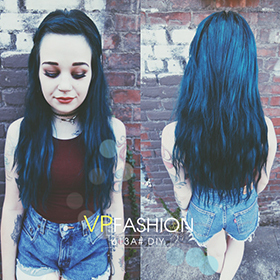 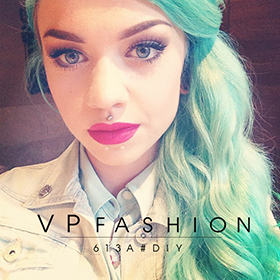 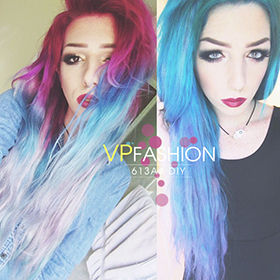 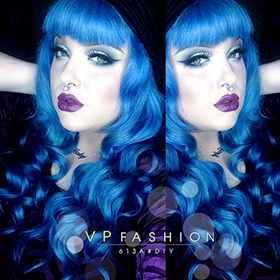 Please select a tester from the 2-inch extensions for testing or send us an email to service@vpfashion.com for a detailedconsultation. 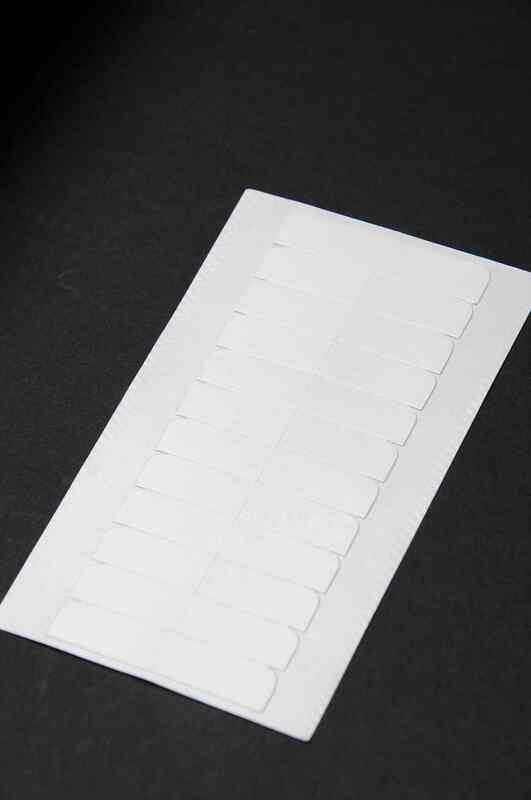 If you require a lighter shade of extension 613A#, then please contact us for a special custom orderand it can be arranged within 15-20 working days. 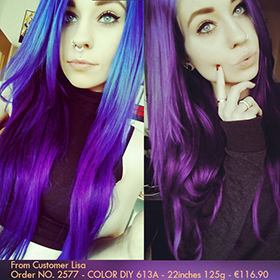 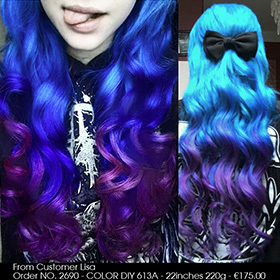 Choose your desired color and the amount you require. 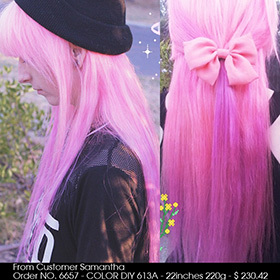 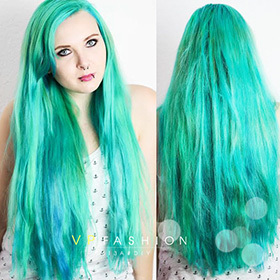 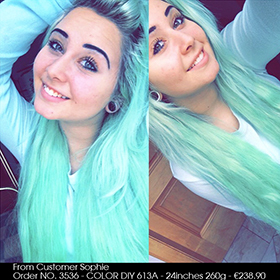 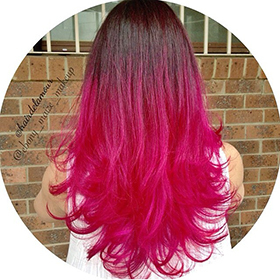 For every200g of hair, you'll need around 250-300ml of undiluted dye cream. 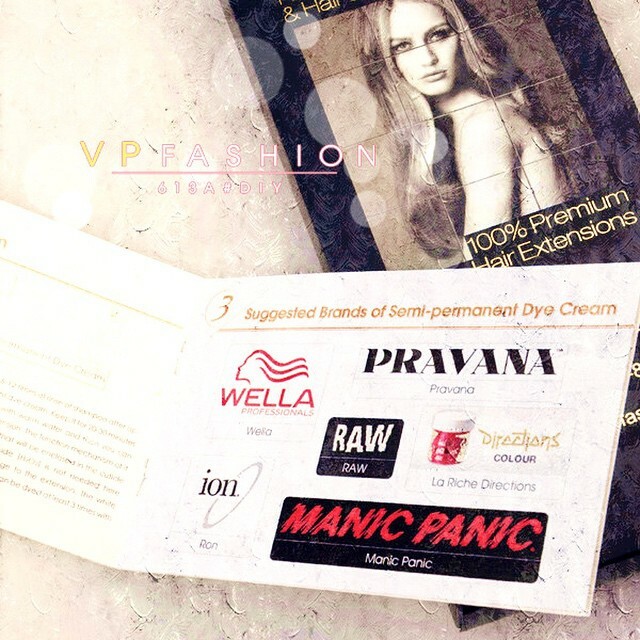 Hair conditioner can be used to achieve a lighter shade than the dye cream itself. 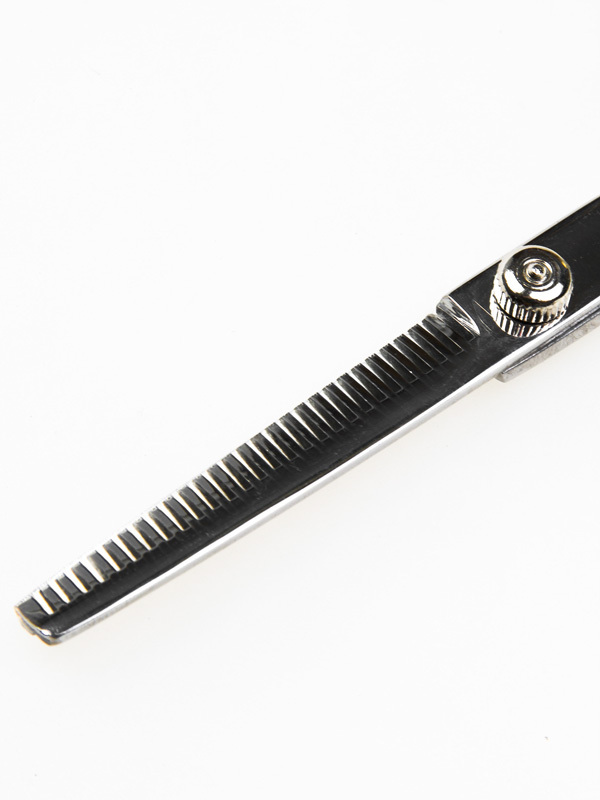 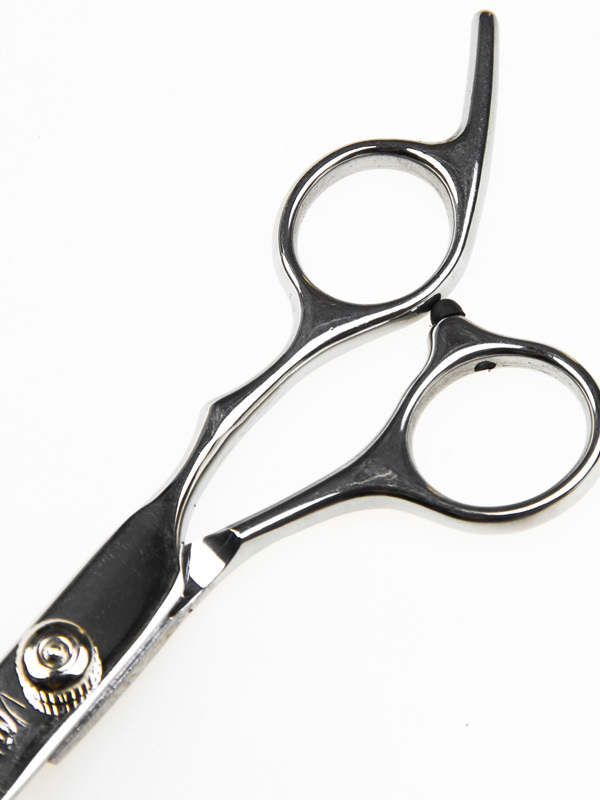 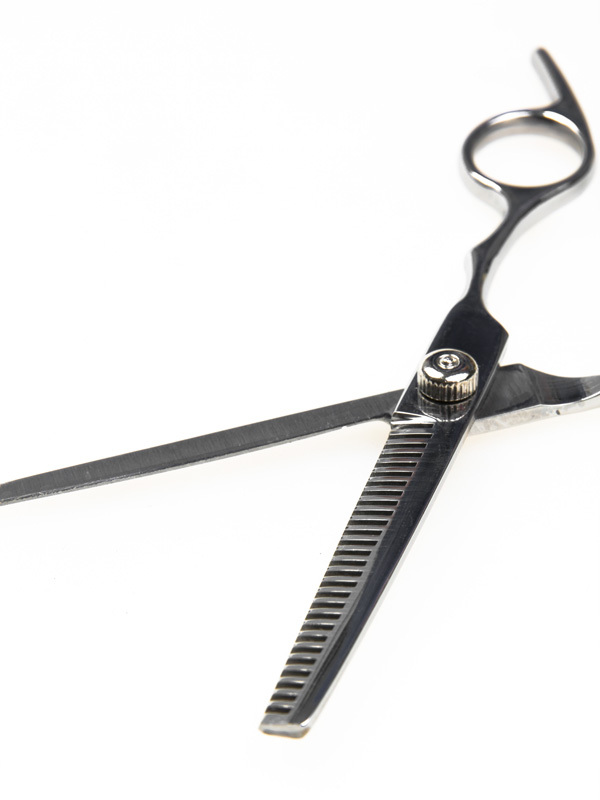 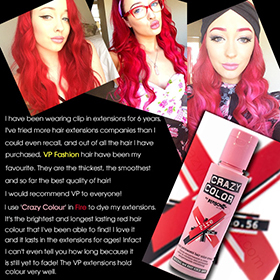 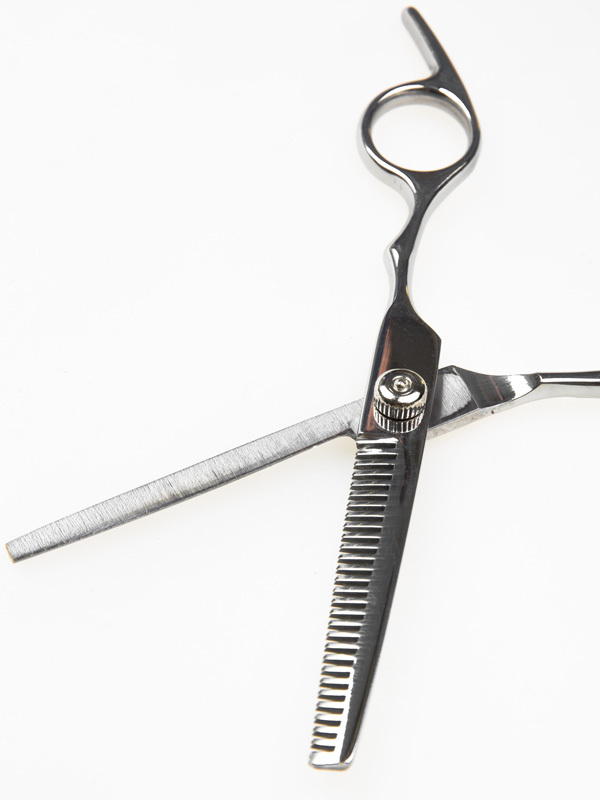 It can have a huge impact on the hair and will help keep the extension shiny and smooth. 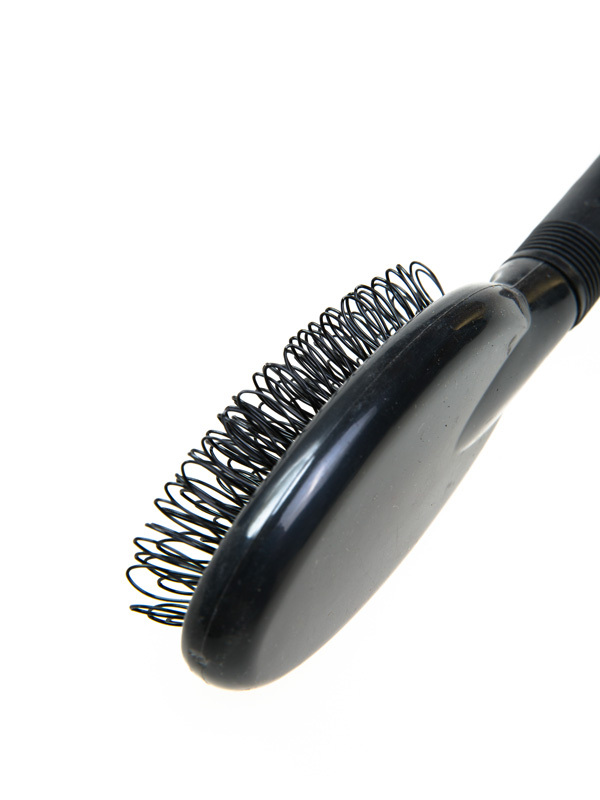 Make sure it is well brushed using a soft brush or comb and then spread it onto a flat surface. 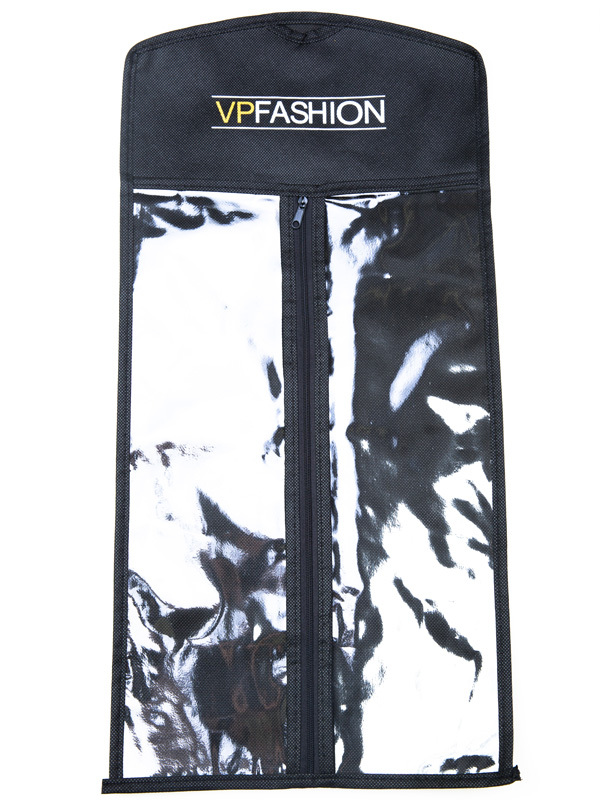 A vinyl tablecloth is required to prevent any dye stains. 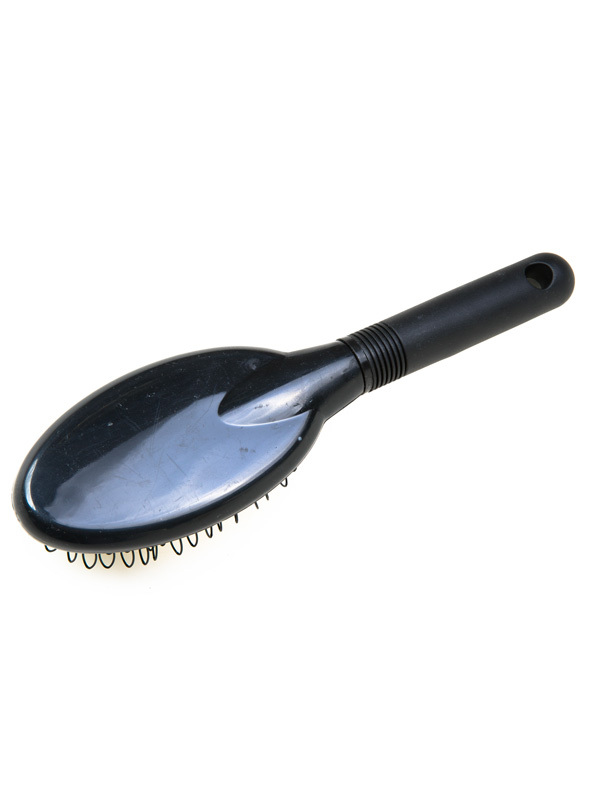 Both bowls and brushes should also be prepared. 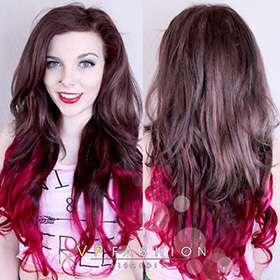 The extension should be kept completely dry, as water will dilute and affect the absorption of your dye cream. 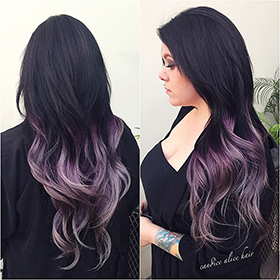 Break each section up into smaller subsections to make your dye more thorough. 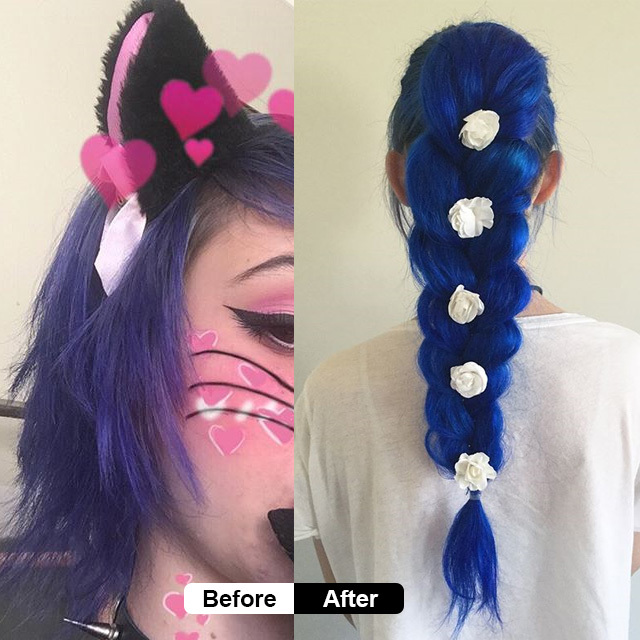 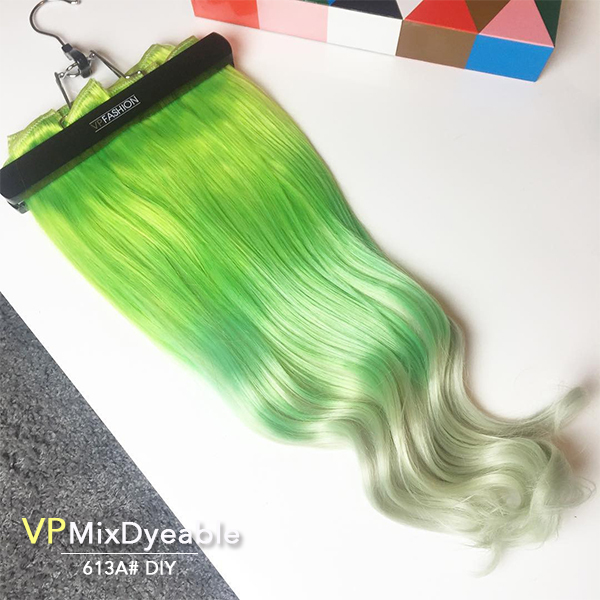 Apply the dye cream equally to each point of your extension and begin with the roots to get the most uniform colorand to avoid a cross-dyed effect. 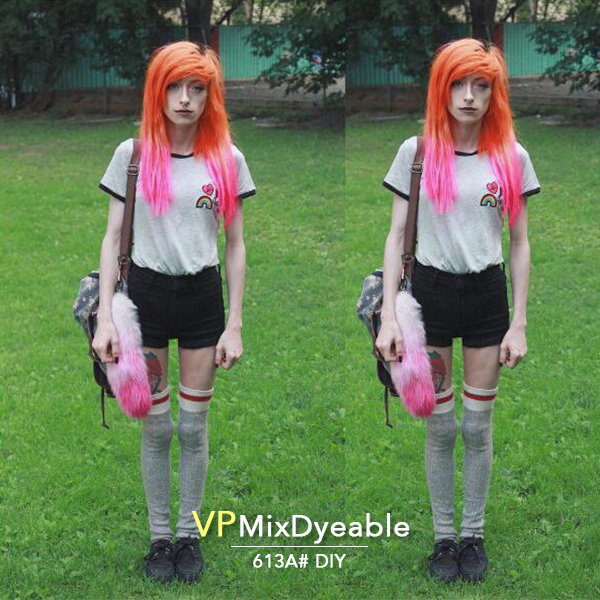 It is especially important when you are dyeing with higher volumes. 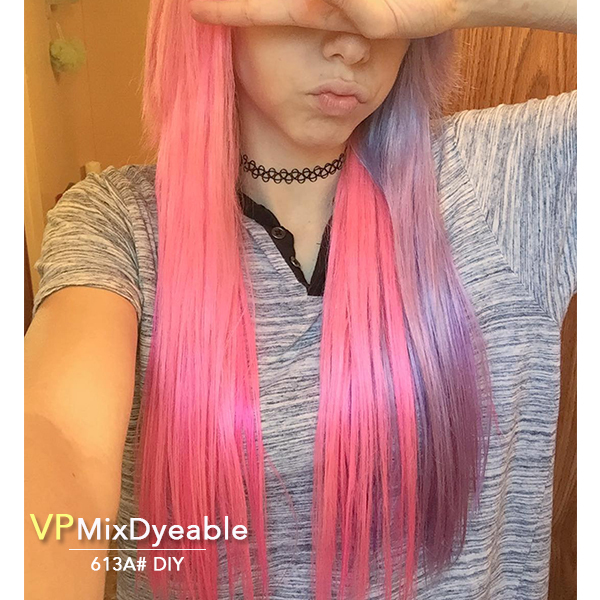 Set a timer for 30-60 minutes. 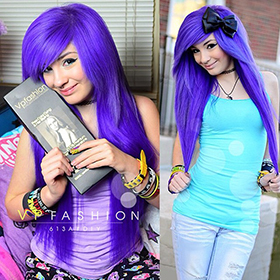 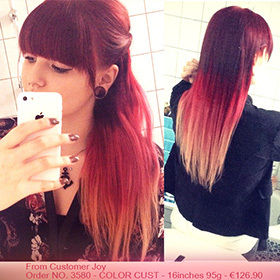 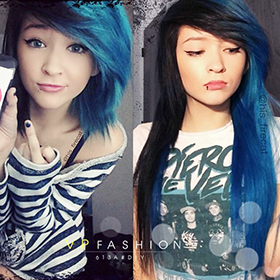 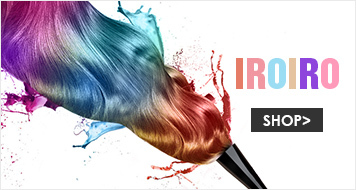 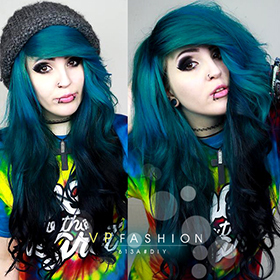 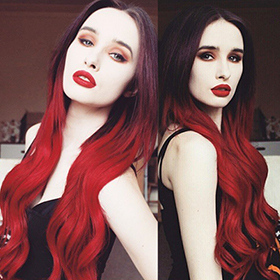 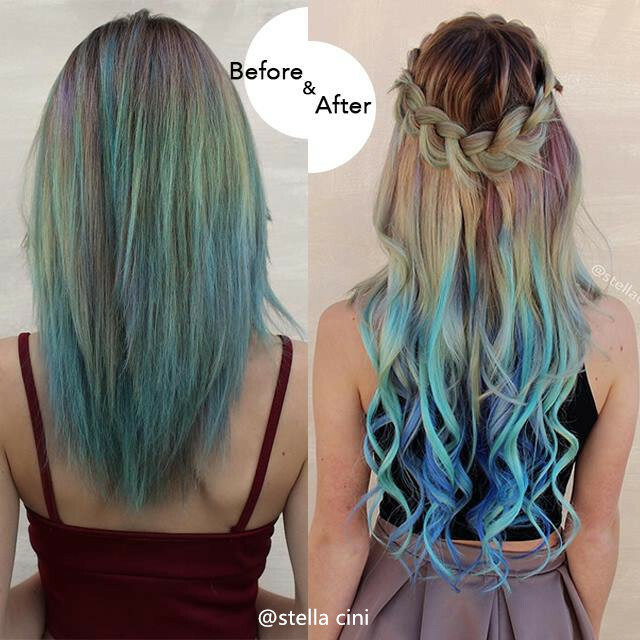 The way hair dye works is that it opens the scales of your hair to inlay the color pigmentsgradually. 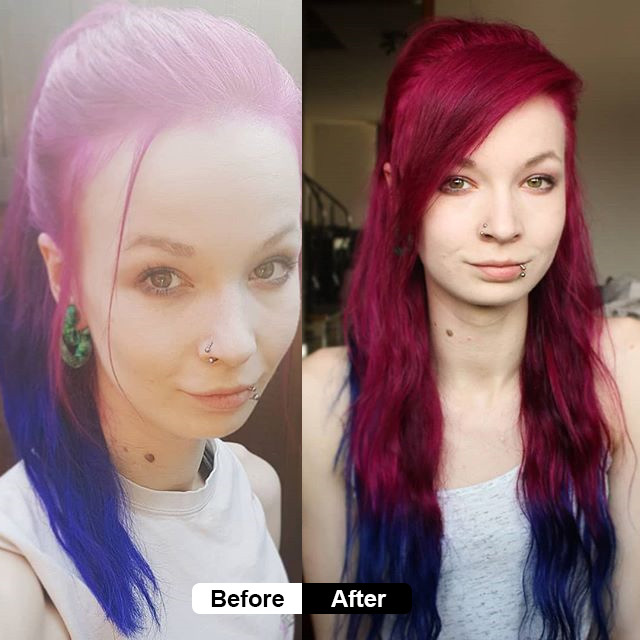 If you leave the hair dye on too long, it will just open the scales more than necessary without depositing any more color, thus making your hair extra dry. 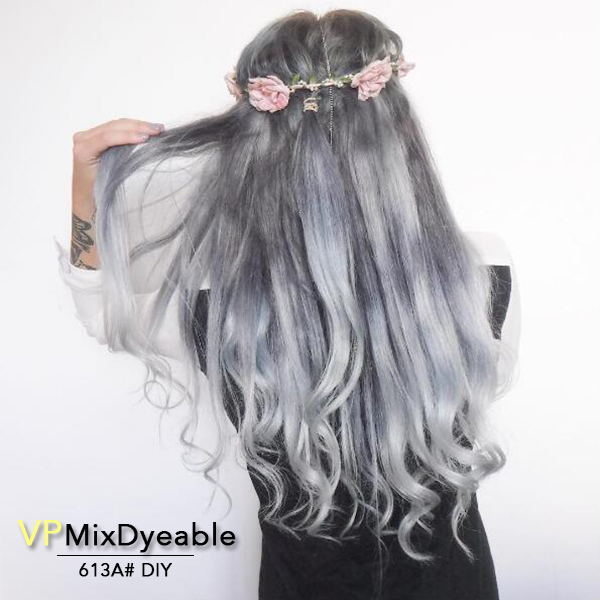 Use cool or warm flowing water which is around 86℉to rinse the extension both gentlyand quickly until the water you are rinsing with runs clear. 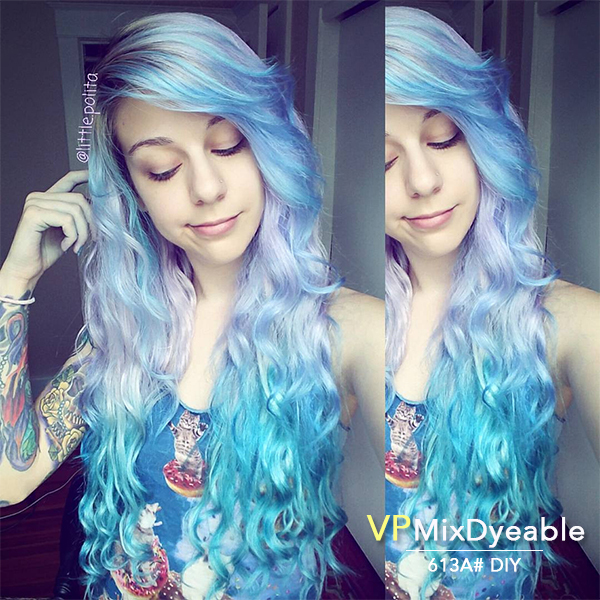 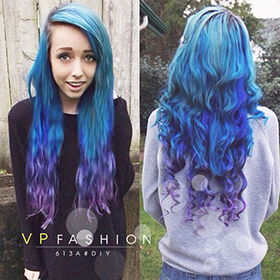 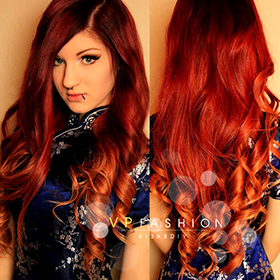 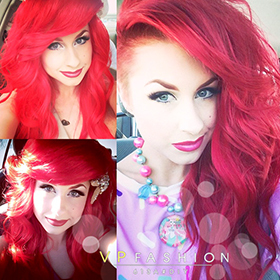 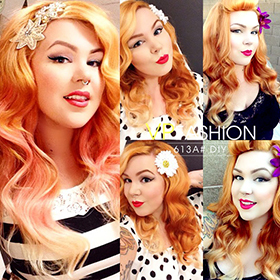 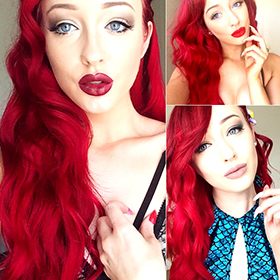 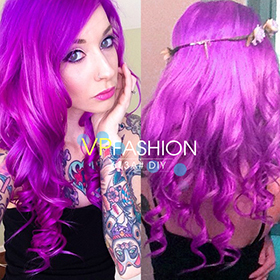 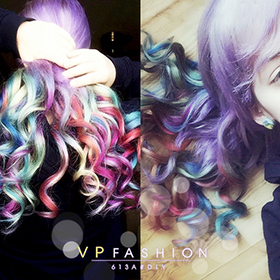 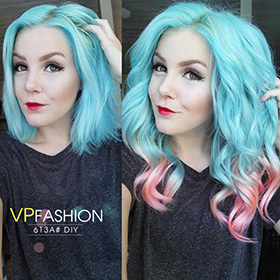 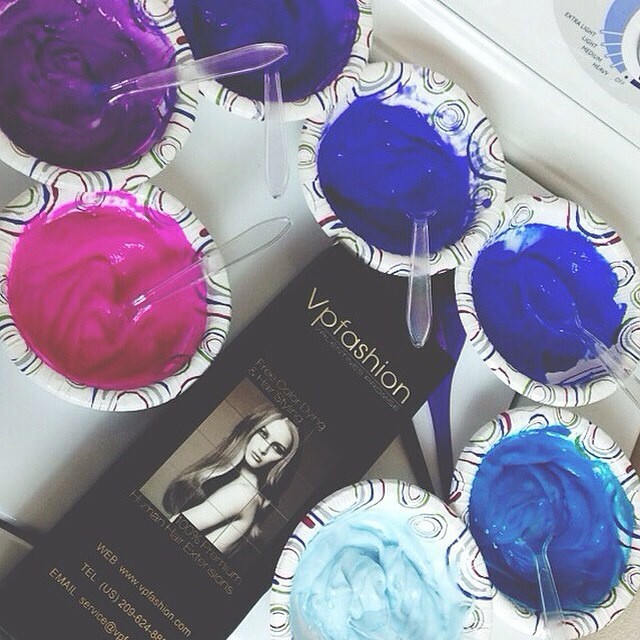 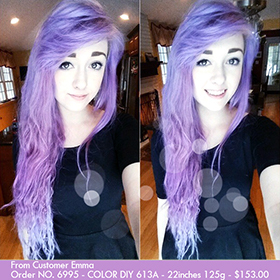 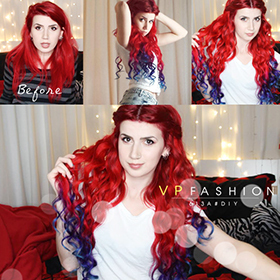 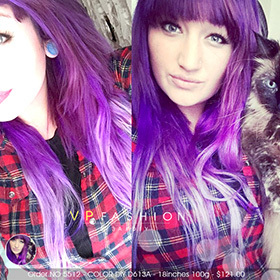 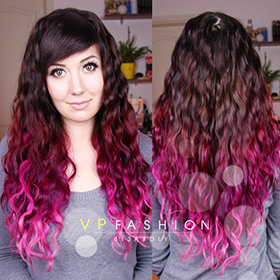 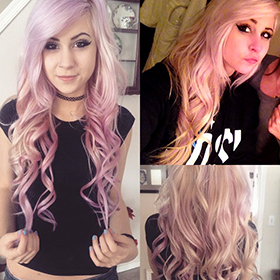 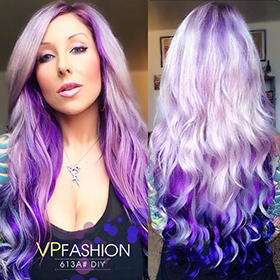 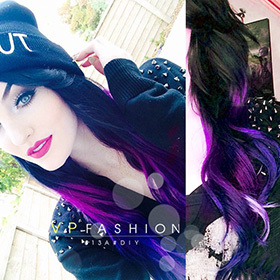 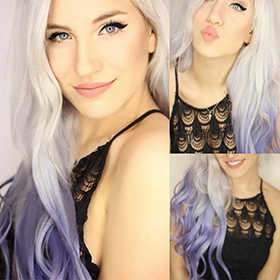 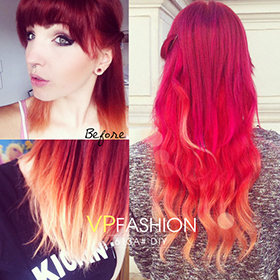 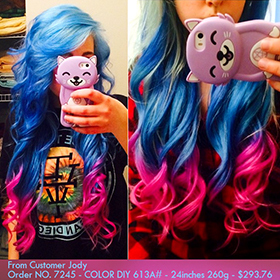 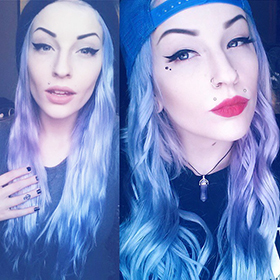 Dye and rinse your extensions separately if you want to try two colors or more. 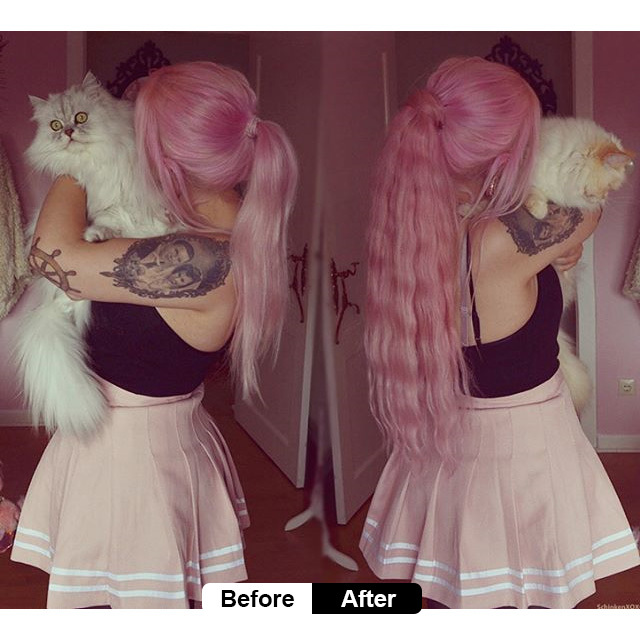 Please always remember to hold the extensions upside down to avoid staining the rest of the extension. 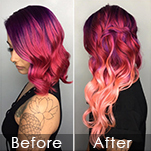 Allow your hair to dry naturally and it will retain more shine that way.Avoid exposing your newly dyed hair to extended time to the sun. 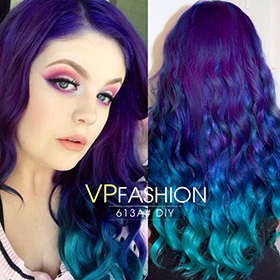 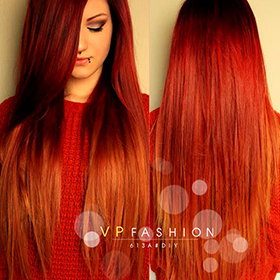 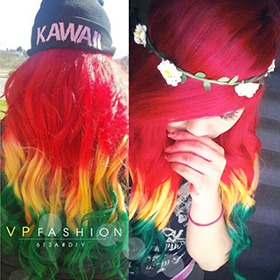 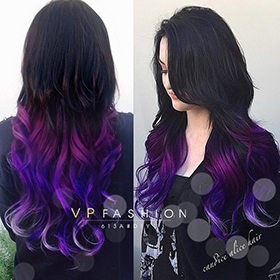 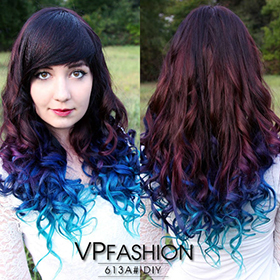 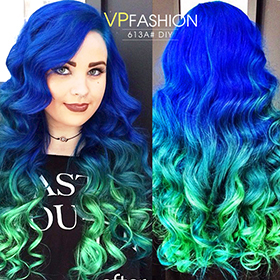 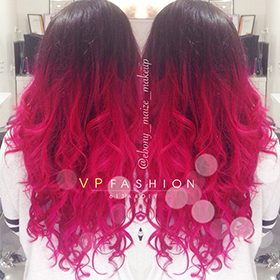 UV rays can interfere with freshly applied hair dye. 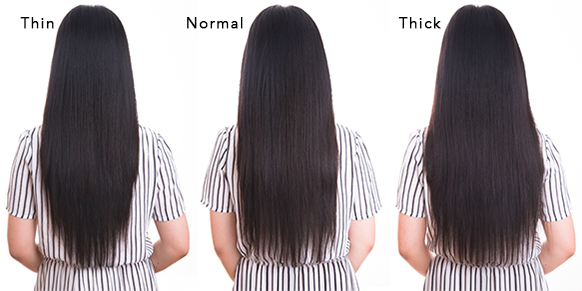 Hair oil can be applied to increase the smoothness and glossiness of the extension. 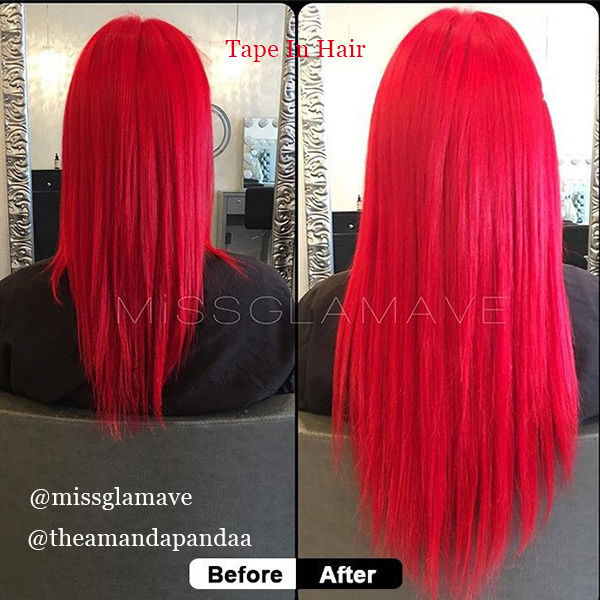 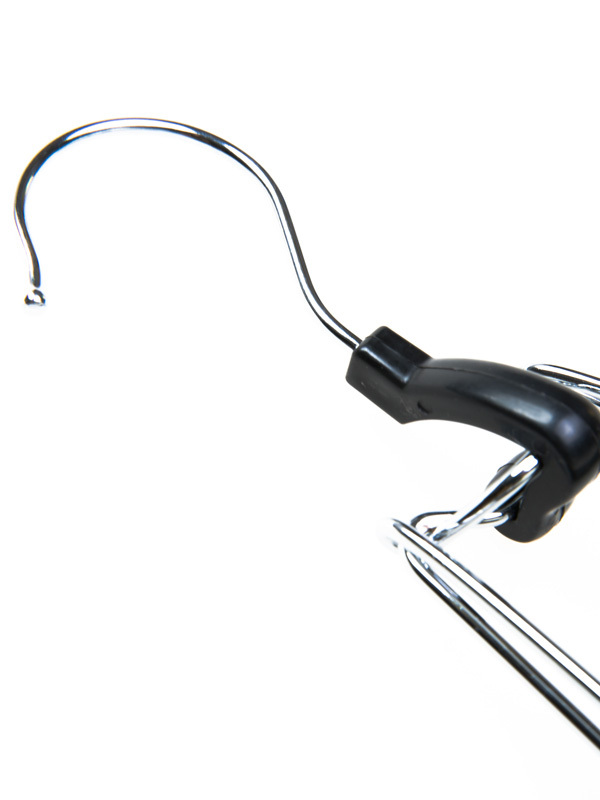 All the extensions are sewed with clips, so that they can be firmly applied to your natural hair. 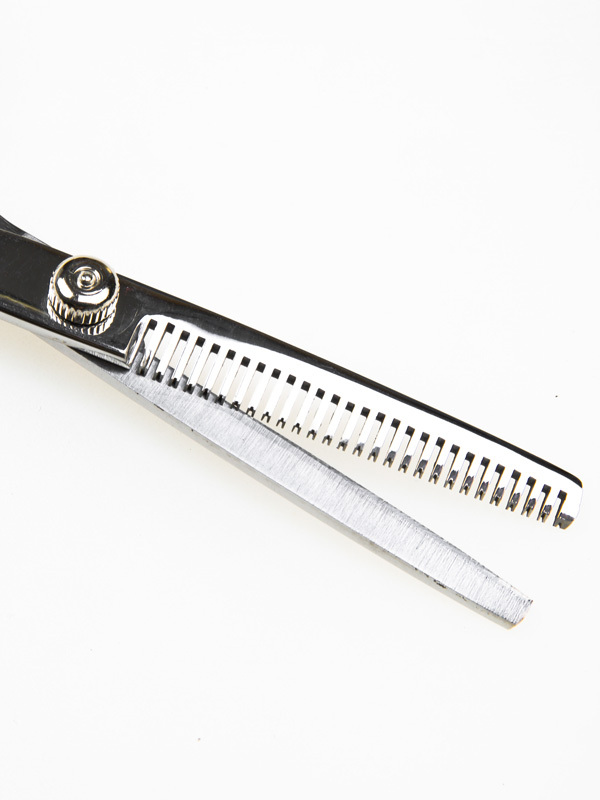 Make sure the extension can be treated gently and hold the clips whilst you are brushing so that the hair will not fall out easily.